The Amex KrisFlyer Ascend Credit Card is best known for its ease of use as KrisFlyer miles are credited directly to your account – no conversion needed – and big welcome bonus of 49,600 miles when you spend $12,000 within the first 6 months (valid until 31 March 2019). Don’t confuse this credit card with the Amex KrisFlyer (no “Ascend”) credit card, is for those who have reached greater heights in life and are now eligible for the minimum income requirement of $50,000 p.a. How does the Amex KrisFlyer Ascend Credit Card work? The card rewards you with KrisFlyer miles for spending money, especially when overseas and on Singapore Airlines products. These miles are credited straight into your account, so hassle is kept to a minimum. But the card’s real strength lies in the fact that big spenders qualify for many of their bonuses, in particular the welcome bonus for the first $12,000 you spend. Everything sounds well and good until you consider the fact that there’s no annual fee waiver – and the annual fee of $337 is considerably higher than that of average credit cards. Of course, you can probably live without most of these… so you decide if these perks are worth the $337 annual fee. Who should use the Amex KrisFlyer Ascend Credit Card? The Amex KrisFlyer Ascend card seems to be tailored towards people with a very high travel expenditure. If you’re travelling as a single or couple, these amounts can seem rather staggering. But if you’re a family breadwinner and the one paying for your whole clan’s holidays, it shouldn’t be that difficult to shore up this much spending. One air ticket might not be too expensive, but multiply that by 3 or 5, and your heart will start to ache. This credit card can help you make your family start earning their keep – the air miles you get can be exchanged to offset the cost of air tickets on your next holiday. Your miles are credited automatically to your KrisFlyer account every month, so as busy a parent as you are, you won’t have to fumble with trying to convert rewards points to air miles or whatever. 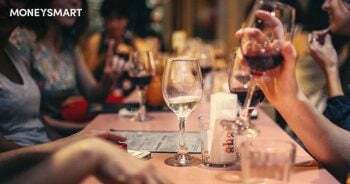 Those anticipating big expenses of $10,000 coming up – like couples getting married or moving into your first home – can also make use of the big welcome bonus to help offset your honeymoon. Another advantage of this card is that you get quite a few freebies that can improve your travel experience, even if you don’t spend a cent on the card, like airport lounge passes and a free hotel stay. Of course, that’s assuming you’re earning enough ($50,000 a year) to get this credit card. If not, you might want to consider its “baby sister”, the Amex KrisFlyer Credit Card, for a similar bonus structure and annual fee waiver. 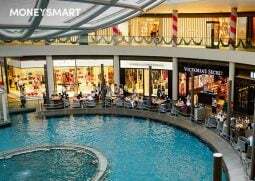 Get S$20 CapitaLand Voucher when you apply and receive approval for your new American Express card. Choose the MyInfo option on the application form and successfully use MyInfo to pre-fill the form. Receive S$20 CapitaLand Voucher upon approval of your new American Express card. Valid till 30 June 2019. 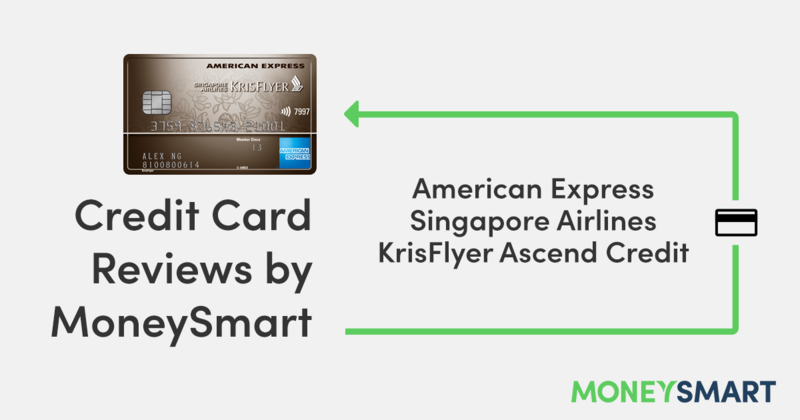 Let’s see how the American Express KrisFlyer Ascend Credit Card compares to similar cards. UOB PRVI Miles Card – Get a much more generous 6 miles when you make flight and hotel bookings online (selected airlines only — Singapore Airlines is NOT one of the selected airlines) as well as 2.4 miles for every $1 spent overseas and 1.4 miles for every $1 spent in Singapore. This is much more generous than the Amex Krisflyer Ascend on all counts, UNLESS you only fly with Singapore Airlines. Maybank Horizon Card – Another miles card for the $50,000 p.a. crowd, this credit card is good for those who don’t travel all that much, as you get a whopping 3.2 miles per $1 for local dining, petrol and taxis (and Agoda bookings). For travel spending, you get 2 miles per $1. 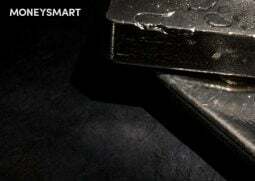 There’s a minimum spend of $300 a month but that isn’t difficult if you consolidate your local spending on this card. DBS Altitude Card – Conversion rate of 3 miles per $1 spent on selected online flight and hotel transactions up to $5,000 per month, 2 miles per $1 spent overseas and 1.2 miles per $1 spent locally. All in all, their conversion rates are more attractive than the Amex KrisFlyer Ascend’s, too. Okay, let’s face it, when it comes to miles conversion, the Amex KrisFlyer Ascend pales in comparison to almost every serious competitor out there. You’ll only be able to unleash the card’s potential if you’re a big enough spender to earn all their bonuses. So by all means, enjoy your lounge passes and free hotel stay in the first year, but know that to really maximise the card you’re going to need to be spending much more. 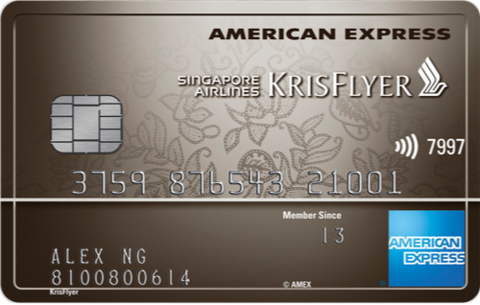 What do you or dislike about the American Express Singapore Airlines KrisFlyer Ascend Credit Card? Share your recommendations in the comments!